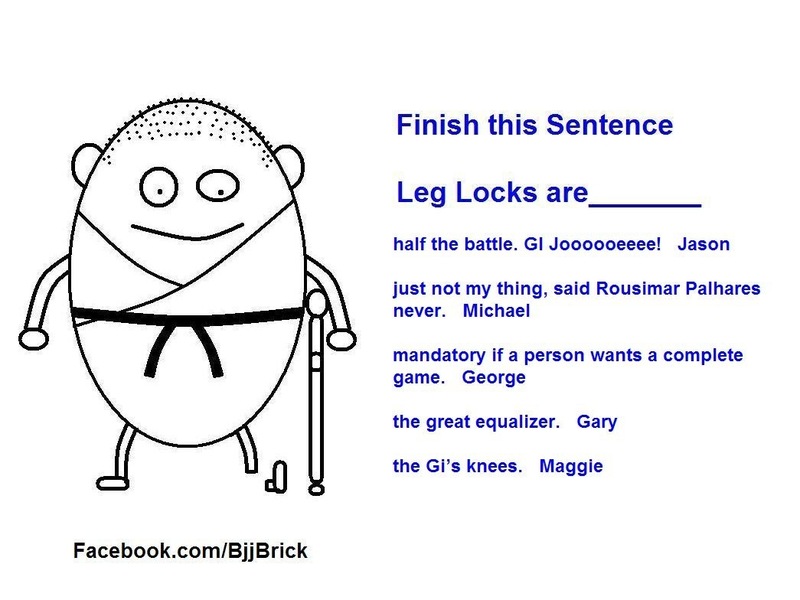 The people on the BjjBrick Facebook page came up with the answers. Thanks for everyone that submitted an answer! Check out my wrist lock video! This video should help you add wrist locks to your BJJ game. These are my two favorite wrist locks! 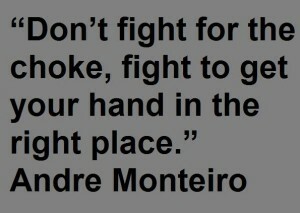 I was fortunate enough to attend two Brazilian Jiu-Jitsu seminars by Andre Monteiro. December 7, 2012 at Castillo Jiu-Jitsu, and December 9, 2012 at Fox Fitness BJJ. Both of the seminars were in the gi, but he often explained how the techniques would work well for no-gi. Andre is a fierce competitor and a great instructor. I have been to many of his seminars and he always lives up to his reputation of doing an outstanding job. Andre’s vast understanding of Brazillian Jiu-Jitsu always amazes me. Andre showed some excellent techniques and details to attacking a turtled opponent. He also introduced us to the side control that he has been using a lot. I was particularly eager to learn about his side control. It was about a year ago that he showed me a few things from this position and it greatly improved my pressure and ability to set up submissions. I was certainly not disappointed in his side control, it was remarkable. The details he shared help put more pressure on the opponent. I had a few questions about it and he was pleased to answer all of them. Andre also showed several attacks from Kesa Gatame and the back. These techniques went well with what he showed us about the turtle and side control. He had us learning several gi chokes, some of the students were having difficulty getting them properly. He stopped the room from training and said something that really made a lot of sense “Don’t fight for the choke, fight to get your hand in the right place”. After that comment, everyone in the room seemed to be finishing the choke easily. The second day was similar to the first, a day full of new techniques and important details to moves I thought that I knew. Before the seminar Andre asked me if there was anything in particular that I wanted to see. This is a great example of the type of seminar that he gives. He genuinely cares about everyone on the mat and wants to do his best to help people reach their full potential. I told him that I would be interested in learning more about his side control; he introduced it to the people that did not attend the first class and help fine tune it for the students that had seen it in the previous seminar. He also covered many techniques and ideas about grip fighting. He showed some excellent takedowns that I think will really help my game. Andre’s half guard is amazing. He was happy to teach us some of his favorite sweeps and passes from the half guard. It was great to learn half guard from someone who is so proficient with it. 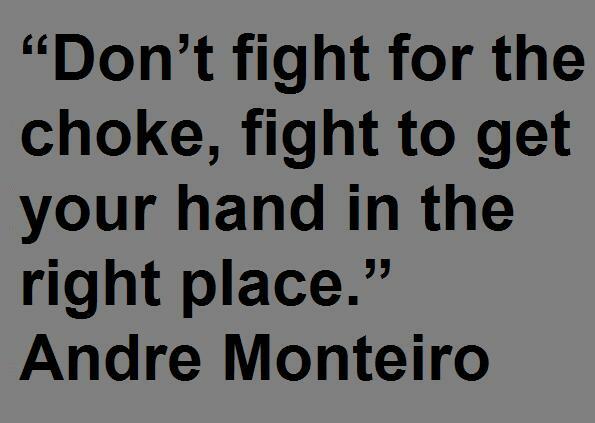 I have attended several seminars by Andre Monteiro and they were all excellent. I highly recommend training with him if you get the chance. One of the things I really like about Andre’s teaching style is that he is great at teaching to the students in the room. By this I mean he will show something that people want to see and make sure everyone understands it, then in a one on one situation add smaller details to the more advanced students that are able to understand. Andre is excellent at looking at the room full of students doing a technique and then he corrects the common mistakes people are making. Andre is on the road a lot doing seminars all over the world, if he is teaching near you don’t miss out on a great opportunity. Check out Andre’s free online training! 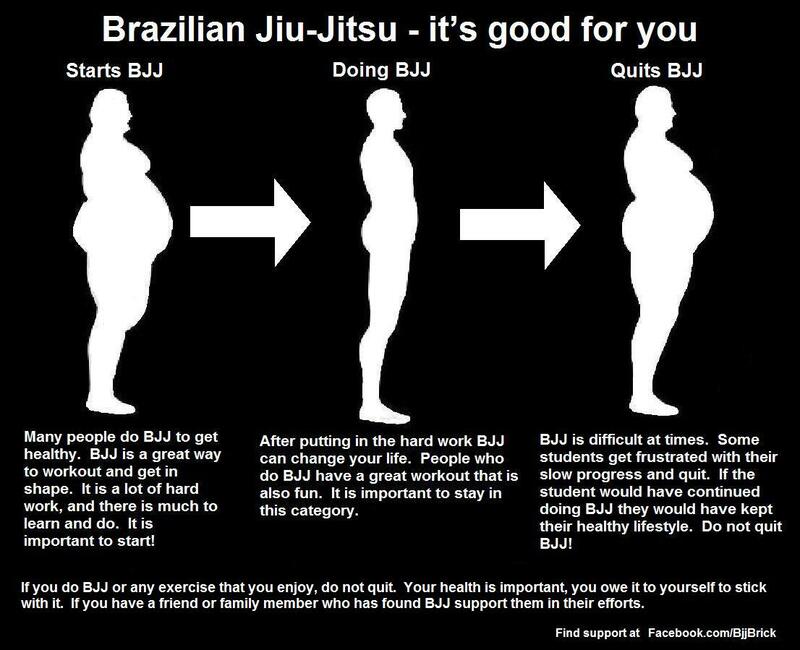 Lose weight with Brazilian Jiu-Jitsu! 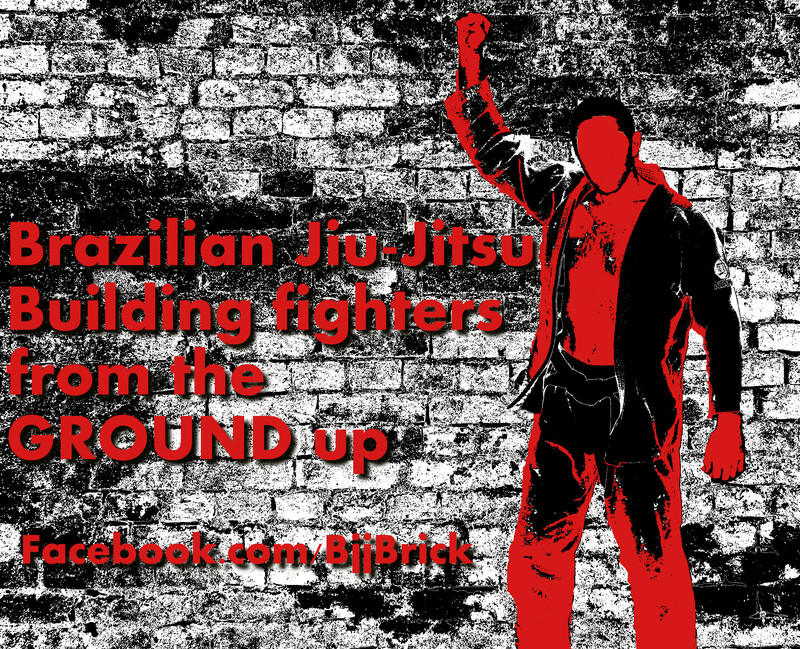 There are many benefits to Brazilian Jiu-jitsu. For many students weight loss is a primary goal for their BJJ training. BJJ combined with a good diet is a great way to lose weight and keep the weight off. The first step to using BJJ to lose weight is to just get started. Start BJJ– Many people feel the need to get in shape before they start BJJ. This is usually a mistake; just start training, there is no need to get in shape to exercise. It is better to have a slow start than a delayed start. Sure it will be difficult being on the mat with extra weight. 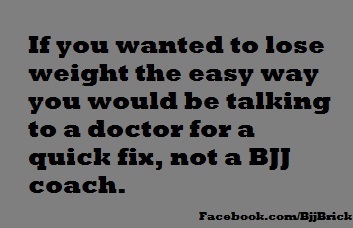 If you wanted to lose weight the easy way you would be talking to a doctor for a quick fix, not a BJJ coach. Doing BJJ– After you do BJJ for a while you will get hooked. This is the sweet spot for losing weight and keeping it off. For many people, they have to force themselves to workout. For people who are hooked on BJJ, they have an internal drive to be on the mat, the exercise is just an added benefit. If you continue to do BJJ you will live a healthy lifestyle. Eating healthy will be easier to do, because eating poorly will slow down your abilities on the mat. You may find after you lose some weight you might need to change your style from grappling like a heavier person to that of a lighter person. 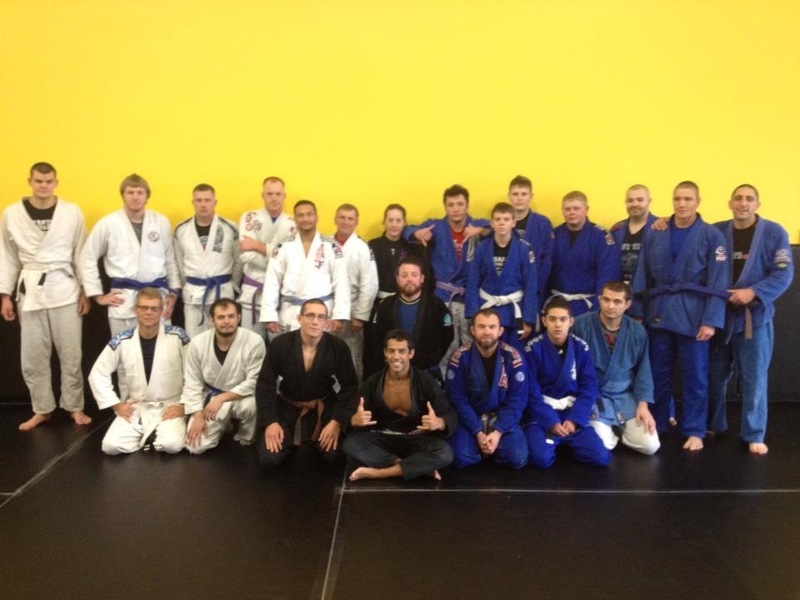 Quitting BJJ– BJJ is difficult at times, but it is imperative that you stick with it. Not quitting BJJ is your ticket to long term weight loss, and a healthy life style. It sounds simple, but one of your main goals should be to not stop training. Make sure that you are having fun as you train. If you are busy, put BJJ on your schedule. Injury causes some students to miss class and ultimately stop training all together; get healed up and get back on the mat. You might feel like you hit a plateau and you’re not improving; just remember you are still getting an amazing workout. Brazilian Jiu-Jitsu can bring a lot of great things to your life. Being fit is just one of the many benefits. People who are hooked on BJJ have a lot of fun and get a full body workout.